i.गुवाहाटी रेलवे स्टेशन भारतीय रेलवे का पहला ऐसा रेलवे स्टेशन बन गया है जिसने राष्ट्रीय हरित अधिकरण (NGT) से “स्वच्छ और हरे वातावरण में यात्री सुविधाएं प्रदान करने” के लिए आईएसओ प्रमाणन प्राप्त किया है. आईएसओ का अर्थ “मानकीकरण के लिए अंतर्राष्ट्रीय संगठन” है जो गतिविधियों के विभिन्न क्षेत्रों में मानक स्थापित करने के लिए जिम्मेदार है. ii.तीन दिवसीय अभ्यास, ‘बोल्ड कुरुक्षेत्र-2019’, सैन्य प्रौद्योगिकी विकसित करने, समुद्री सुरक्षा को बढ़ावा देने और आतंकवाद के खिलाफ राष्ट्रों की लड़ाई को बढ़ावा देने के लिए आयोजित किया जा रहा है. ii.रिपोर्ट को ‘विश्व बैंक के प्रवासन और विकास संक्षिप्त’ के रूप में नामित किया गया है. पिछले तीन वर्षों में, भारत ने 2016 में 62.7 बिलियन अमरीकी डालर से 65.3 बिलियन अमरीकी डालर का प्रेषणों का एक महत्वपूर्ण प्रवाह दर्ज किया है. ii. Many types of ISO certification exist and the one received by Guwahati Railway Station is ISO-14001, which is for Environment Management System as per international norms which were upgraded in 2015. Thus, the station’s certificate reads ISO 14001: 2015.
i. The US designated Iran’s Revolutionary Guard Corps (IRGC) a foreign terrorist organisation. ii. It is the first time that the US has designated an entity of another government as a terrorist organization, placing a group with vast economic resources that answer only to Iran’s supreme leader in the same category as al-Qaida and the Islamic State. Iran Capital: Tehran, Currency: Iranian rial. i. The sixth edition of the joint military training exercise between the Indian Army and the Sri Lankan Army, Exercise Mitra Shakti concluded in Sri Lanka. ii. Started in 2013, exercise Mitra Shakti is in continuation of a series of joint exercises that is conducted annually as part of military diplomacy to enhance cooperation between the armies of India & Sri Lanka. i. Military forces of India and Singapore got together to participate in a joint exercise in Babina Cantonment in Jhansi. ii. The three-day exercise, ‘Bold Kurukshetra–2019’, is being conducted to develop military technology, boost maritime security and bolster the nations’ fight against terrorism. i. President Ram Nath Kovind has released the national ranking of higher institutes by the Ministry of Human Resources Development (HRD) in New Delhi. ii. 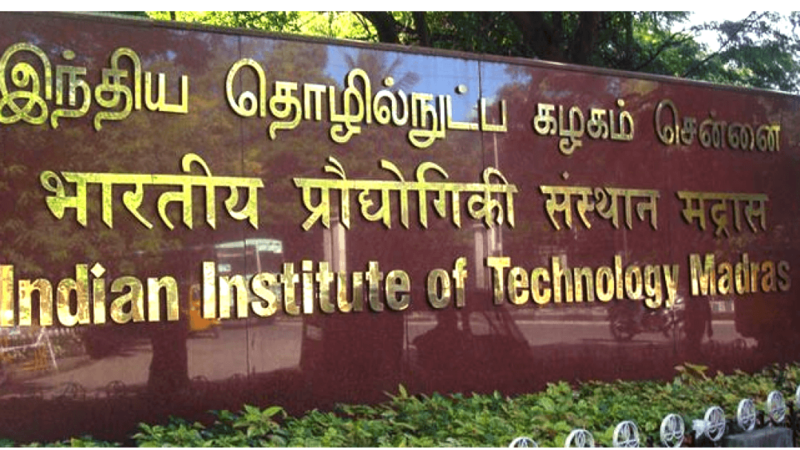 Indian Institute of Technology Madras topped the rankings while the Indian Institute of Science, Bangalore bagged the second rank followed by IIT Delhi. iii. Delhi University’s Miranda House was ranked the best among colleges across the country, while the varsity’s St Stephen’s College was ranked fourth. i. As per the World Bank Report, India retained its position as the world’s top recipient of remittances with its diaspora sending a whopping USD 79 billion back home in 2018. India was followed by China (USD 67 billion). ii. The Report was titled as ‘World Bank’s Migration and Development Brief’. Over the last three years, India has registered a significant flow of remittances from USD 62.7 billion in 2016 to USD 65.3 billion 2017.
i. The Reserve Bank of India came out with guidelines for banks to set up new currency chests, which include a minimum area of 1,500 square feet for strong room. ii. The new chests should have a processing a capacity of 6.6 lakh pieces of banknotes per day. The currency chests should have CBL of Rs 1,000 crore, subject to ground realities and reasonable restrictions, at the discretion of the Reserve Bank. i. The World Homoeopathy Day 2019 will be observed across the world on April 10 to commemorate the birth anniversary of the founder of Homoeopathy, Dr Christian Fredrich Samuel Hahnemann. ii. On the occasion of the World Homoeopathy Day 2019, the Central Council for Research in Homoeopathy (CCRH), an autonomous research organisation under the Union Ministry of AYUSH organised a two-day convention (on 9th and 10th April) at Dr. Ambedkar International Centre in New Delhi.